Intel Skylake microarchitecture, the successor to the Boradwell microarchitecture, is built on 14nm manufacturing process with higher power efficiency and compute performance. To ensure the CPU performance and achieve the nominal power consumption, Delta has designed a series of Intel Skylake-based heatsinks optimized cooling performance and minimal thermal resistance for server and data center environment. 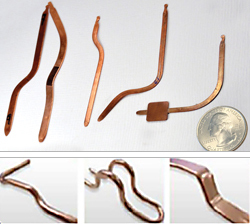 Delta offers a various of heatsink solutions including extruded, heat pipe, and vapor chamber to meet the most demanding thermal challenges. For slim Heat Pipe with sintering powder wick structure, minimum diameter of 5mm flatten to 0.6 mm could be manufactured. And by fiber and mesh wick structure, it can reach to 0.4 mm by flatten diameter of 2mm. Delta is capability of designing and suggesting suitable wick structure for different application. For slim vapor chamber, Delta can apply the maximum dimension of 200mm x 200mm, and the minimum thickness of 0.35mm. The VC surface flatness could be controlled within 0.2/100x100 mm2 by diffusion bonding. The surface ΔT should be controlled within 3 ºC. 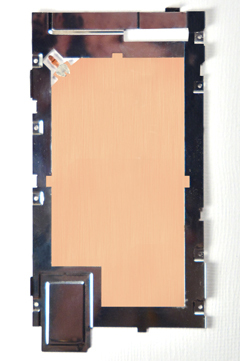 (Thermal conductivity: k ~ 6000 W/ ºC-m ).